Robots are quietly invading daily lives all around the world. You never know when next you’ll meet a bot–just check out this week’s robotics developments for proof. NASA’s quietly been working on a project to design an automated moon lander, destined for our Moon, Mars’ Phobos and Diemos or possibly large asteroids in the future. Essentially the little rocket-powered guy is a robotic version of the lunar lander that took Armstrong and Aldrin to the Moon in 1969, just a little smaller and without an astronaut at its controls. The robot just flew its first autonomous untethered flight, with its pure-steam rockets puffing it into the air under Earth gravity, stabilizing it in a hover, and then gently settling onto its landing pads. It’s a big milestone for the project which is all about building a testbed for future lander technology. How might we shop in the future? There’re a lot of techy ideas about that, but Japan’s Advanced Telecoms Research Institute has a pretty radical idea: By equipping a supermarket with cameras and sensors, it’s actually testing out turning the store into a robot, of sorts, which you walk around inside. The idea is that the store can learn shopper’s habits, and actually suggest purchases or provide handy directions to an item on the shelves via mini robots dotted among the merchandise. Would this make shopping eerie or a more satisfying experience? Okay, so this isn’t strictly a robotic technology but it has elements of bot behavior in the mix: The “Possessed Hand” is a device that artificially stimulates the muscles of a user’s hand so that, with robotic ease, they can almost pluck the strings of a musical instrument. While the user has to supply the motive force to actually pluck, thanks to the force required, it’s all about teaching you the correct hand position and so on to play properly and without errors. 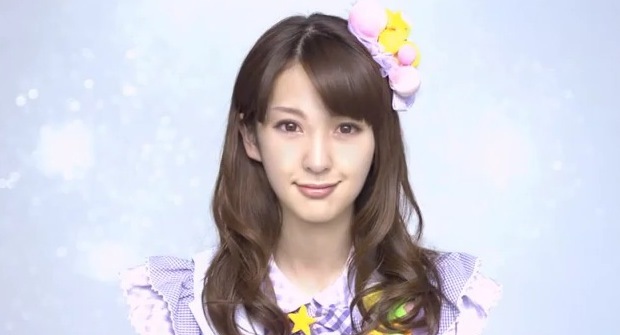 Not strictly a robot, but Aimi Eguchi is a hint at the way androids like HPR4c and Geminoid may eventually cross the famous “uncanny valley” into being almost convincingly human. Aimi was a surprise new member of Japan’s teen pop band AKB48, revealed in an advert last week. Fans were bemused, confused and then suspicious…before it was revealed that Aimi is a CGI construct based on features borrowed from the real band members. The trick is that if you’re not a fan of AKB48, you may not spot Aimi in the first part of the video below, because the technology is so amazingly convincing. Oh, and don’t forget our earlier piece about this amazingly artistic, and satisfyingly simple sketching robot. It’s work is attractive, and will likely get even more clever in time.